Look no further than the new “Notables” pages found only at EnergyEqualsWellness.com. We’ve curated the most notable information from the most informative online sources. You’ll find links to the latest articles, videos, and blog posts on our three new “Notables” web pages. Golfer’s and Tennis Elbow – Both are forms of tendinitis, and both hurt like the dickens! Can Cold Laser Help? Low-level laser therapy to treat fibromyalgia. And So Much More! If your body is hurting, you need to check out cold laser / low-level light therapy by visiting our Cold Laser Notables HERE! Do smartphones pose a health risk? Are you or your children at risk from over exposure to WiFi? Should we be concerned? Are there precautions we can take? 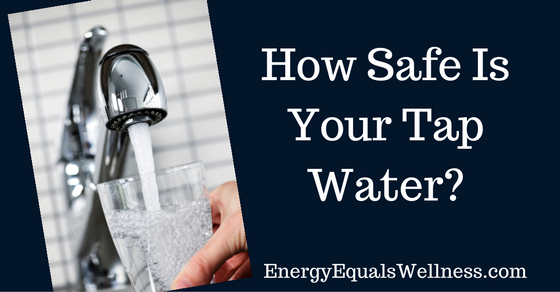 These articles, videos and studies will answer your questions and concerns. See all of our WiFi and EMF Notables by visiting HERE! Don’t miss all the notable information now available to you with almost instantly by visiting our new Notables web pages. 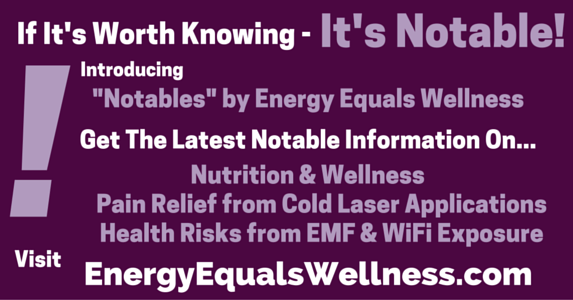 Access all three – Nutrition Notables, Cold Laser Notables, and WiFi & EMF Notables by simply clicking HERE! I wish you all the best in health and wellness!